The are the smartest headphones on the planet – and could mean the end of tangled wires. The Dash headphones are wireless, and can even be worn when swimming. They contain their own MP3 player and fitness trackers to monitor heart rate and oxygen saturation level. 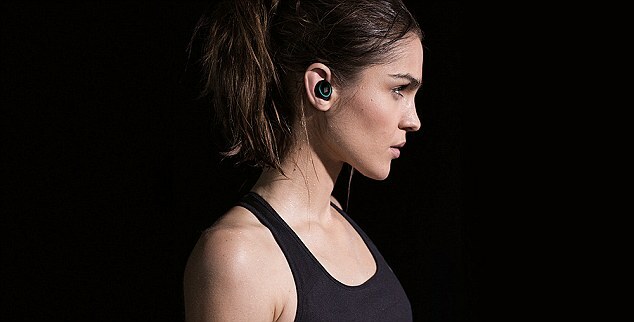 The Dash consists of a pair of discrete and completely wireless stereo earphones, linked together with Bluetooth. They will playback music through a Bluetooth connection or use the embedded 4GB/1000 song music player. 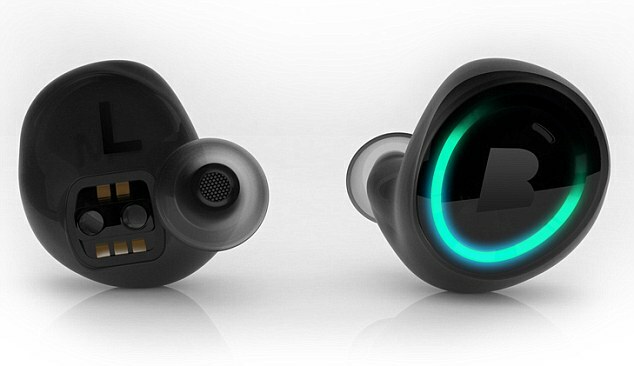 The Berlin firm behind them says they are: ‘The world’s first completely wireless, smart headphone system, offering freedom of movement, maximum comfort and amazing sound – all while audibly coaching, tracking movement and capturing key biometric data.’ This week the Dash won the International Consumer Electronics Show (CES) 2015 Innovation Award.